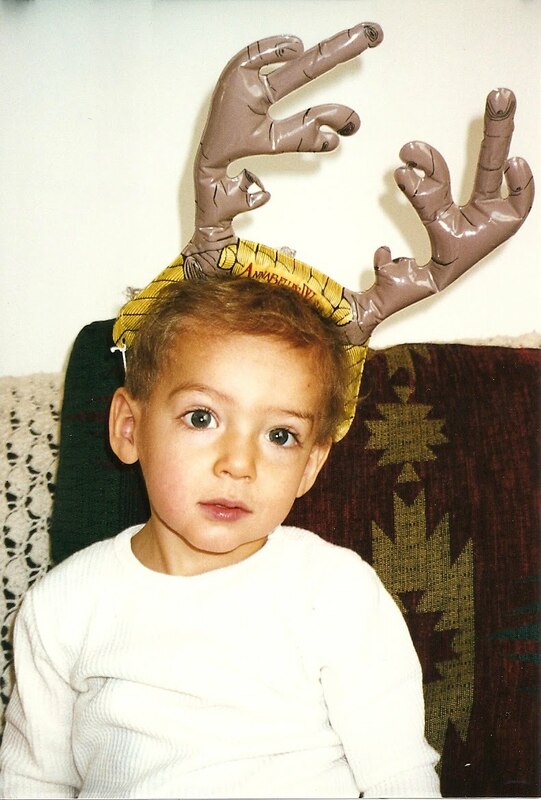 I'm very lucky that my antlers became sparklier when I hit puberty. Thank goodness for hormones. Aaaahhhh! Cutest thing I've seen all day! aw..cute pic...so do you wear these around regularly? smiles. That is all kinds of good times, in antlers. How cute...thanks for giving us the time to smile!!! It has taken me 6 months to decide that KLZ doesn't look ridiculous in antlers and my split second glance at that adorable picture has just undone all of that hard work. Oooh, I have some highly embarrassing pics of my kids in antlers! What is it about antlers that is so appealing as headgear??? LOL! That's too frickin adorable. Awwwww... is right!!! I think the Cheetos dust just made it even cuter! Awwww. Put it on his Facebook when he has one. LOL. The more adorable, the higher the Blackmail potential. ha. I love it! Good one, Empress! That is a cute pic. Any of mine? From "back in the day" - should never ever be seen in public.